Valentines day is right around the corner, and whether you're in a relationship or not, you can have fun doing these activities! I have an outfit for you, and 3 of my favorite things to do on this beautiful holiday! 1. Write Out Your Valentines Day Cards! Even though we're not in grade school anymore, it's still so much fun to write valentines! Especially for your best friend, or significant other! They're thoughtful, and oh so cute! 2. Cake Pops Are Still A Thing! Cake pops are definitely one of my favorite desserts still to this day! Go to the store, and I guarantee that you will find a kit to make them! Decorate them with heart sprinkles to make them really festive! Check out YouTube for all different kinds of tutorials! This is definitely one of my favorite outfits. The Perfect Kind Of Love cardigan is comfortable, yet super adorable for either a date night out on the town, or even a comfortable night in! Pair it with our My Time Is Yours body suit and a pair of skinny jeans, and own the night! 4. Buy Your Favorite Candy! Go out to any corner store and grab your favorite candy to start your Valentines Day off right! 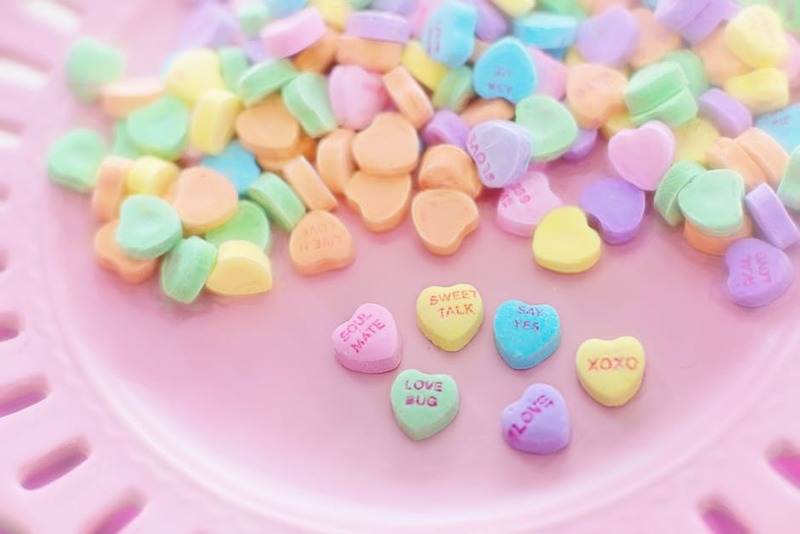 My favorites are the sweetheart candies. They compliment you, and are absolutely delicious... What more could you want for this special day?! We hope you have a fantastic Valentines Day! Enjoy the sweets and enjoy dressing up for the occasion! How To: Be Comfortable, Casual AND Trendy! Sign up with your email address to receive news, awesome deals and updates about the store & website!